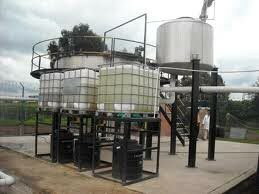 If you are in search for genuine quality Sewage Water Treatment Plant, then we are the best option for you. We are amongst the noted Sewage Treatment Plant Suppliers and Manufacturers in India. Our Plant for Wastewater Treatment is manufactured from excellent grades of raw materials, which further assures our clients of the durability and reliability of our product. Our Sewage Water Treatment Plants are high in demand and this makes us one of the famous Sewage Treatment Plant Manufacturers of India.